If there’s one thing we all need more of in our lives, it’s money hacks! Right? Who couldn’t use a little extra cash in their lives! Today we’re sharing money hacks to help you pay off your home quicker. After all, for most of us, it’s our biggest monthly expense. When you’re looking for ways to pay off that mortgage quicker, you really have to look at the big picture. Knocking one year off your loan today when you still have 28 to go may not sound like a lot, but 27 years from now, you’ll be happy you did it! Check out our favorite money hacks to pay your home off quicker. Do you have any other favorite money hacks to save on your home loan? Tell us in the comments! What is the definition of divide and conquer? It means that you should pay a little extra each month. Every dollar you add to your payment makes a bigger dent in your balance but adding one extra payment each year knocks four years and nearly $17,000 off your mortgage. Put Andrew Jackson to work by adding $20 to your mortgage payment each month. You’ll pay off your mortgage in a year and a half early, saving over $6,200. A lot of people receive sales bonuses, cash gifts, or tax refunds each year. 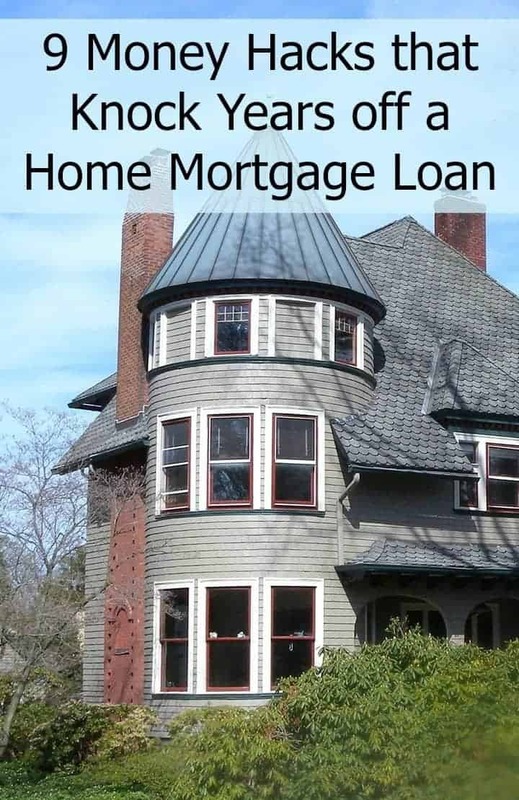 If you can put them towards your mortgage, you can shave many years off your loan. Even if you put half towards the loan, it’s still something. It allows you to make a half – payment every two weeks instead of a full payment once each month. This helps you knock off several years of your loan. If you have a 30 – year loan consider doing a 15 – year instead. The payments will be higher, but your overall loan will be cheaper because you’ll pay less in interest. What this means is that you will be making an extra payment every year, if you can afford it. It helps you save more money the following year. Interest is calculated daily instead of monthly and because this money spends a lot of time in the account before you take it out, you save on interest expense. Many have said you need special software to do this but that is not true. The biggest problem with this method is discipline because people tend to not understand money management and spend their money on things less important. We all have certain routines or habits that cost us money. A $4 latte twice a week, memberships we never use, and so on. For me, it’s those $.99 deals on books. I buy them because they’re on sale, yet meanwhile I have…wait for it…2,300 books sitting unread on my Kindle. The majority of them were freebies. Rather than grabbing deals on books that I’ll never read, I’ve decided I’m going to read what I have. Remember, even if you can add an extra $20 to your payment, you can knock time off your loan. Find a cheaper- or free- way of satisfying your coffee or book cravings, then divert those funds to your loan. Pay with cash or stick with a 15 – year fixed rate mortgage. Keep your monthly payment to no more than 25% of your paycheck. Even if you follow just a few of these money hacks, you could save yourself a lot of money on your home loan in the long run! Think of what you could do with all that extra cash. Once your home is paid off, keep putting the money you spent on the mortgage away for your retirement to get even more bang for your buck. we bought a house 5 years ago with a 30 year mortgage. i put it at biweekly payments and right away it would have been paid off in 25 years. i also upped the payments by a total of 100 a payment, we are now coming up to renewal and that 30 year mortgage will be at 12 years and 10 months. we are changing it up a bit to pay off other debts first and to put kids through post secondary school but will be puting it back when those are one. than when it is paid off the money that was going to the mortgage will be used for retirement. Great tips! This is so important. A little goes a long way and the bi-monthly payments are a must. Thanks for sharing! I love these tips! When it comes to selling our home, we will have more money after we sell, even if the market is down. Love this! We are try to pay off our mortgage early. Throwing extra money at it really helps. I like the idea of making bi-weekly payments. I think paying off large loans (like mortgage) should be given priority. The longer the paying period, the more interest you have to pay. Thank you for all these tips. They are really good advice. These are great tips! I don’t own a home yet, but I will in the near future! My dad is almost paid off on his. These would have been great for him take advantage of. A 15 year mortgage is definitely a way to pay it off faster. In my last house, we had the bimonthly payment to add extra. This sounds awesome! I’ve always wanted to do this and I really do think that should be our goal. I think I will discuss with my husband ways to make extra payments. I think it’s totally worth it in the end. A lot of great tips and ideas here. Thank you for sharing! These are wonderful tips! I don’t think people realize that even just putting a little more towards their mortgage each month helps a lot in the end. Great idea. So glad you share/posted it. Thanks! Great money hacks. Will always remember each and every one of them for future use! These are great tips. I really like the idea of adding an extra twenty to loan payments each month. That will save a lot in the long run. I don’t like the idea of mortgages and loans so I make sure I do my best to pay them off as fast as I could. These are all so helpful! It’s nice to be able to pay for your house sooner than later. I’m going to try to pay an extra $100/mo to my mortgage. These are all awesome ideas! We are doing them by weekly idea, and hoping that will knock off a bunch of years from my mortgage. My sister and brother in law just bought their first home. They close on Friday actually. They will appreciate these tips. Great tips and ideas for the everyday person to do.I think paying off your mortgage early is a great idea and if you can swing it go for it!